Russian researchers from the Moscow Institute of Physics and Technology have developed biosensor chips of unprecedented sensitivity, which are based on copper instead of the conventionally used gold. Besides making the device somewhat cheaper, this innovation will facilitate the manufacturing process. The research findings are reported in the journal Langmuir, named in honor of Irving Langmuir — a U.S. scientist awarded the 1932 Nobel Prize in chemistry "for his discoveries and investigations in surface chemistry." "Our engineering solution is an important step towards developing biological sensors based on photonic and electronic technology," says Valentyn Volkov, professor of the University of Southern Denmark, who also heads the Laboratory of Nanooptics and Plasmonics at MIPT. "By relying on standard manufacturing technologies and combining copper with graphene oxide — a material that has a great potential — we achieve a demonstrably high efficiency. This opens up new avenues for biosensor development." 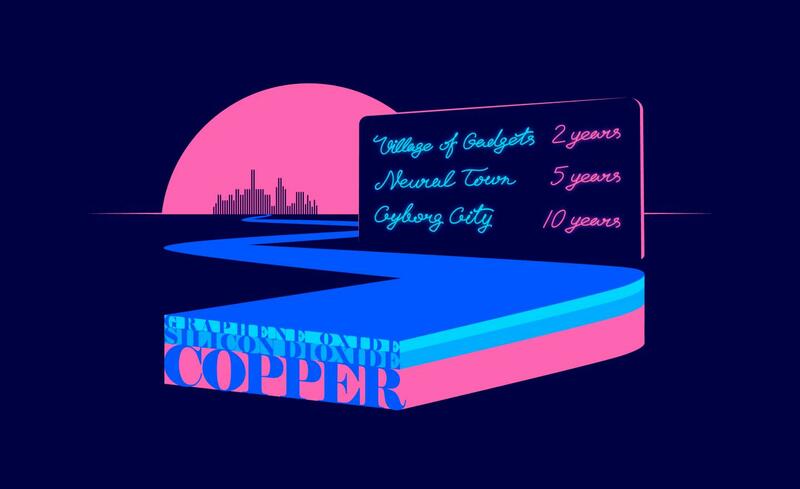 Replacing gold with copper opens up the way for developing compact biosensing devices to be implemented in smartphones, portable gadgets, wearable devices, and smart clothes, because copper-based chips are compatible with conventional microelectronics technology. Scientists from across the world and electronics industry giants such as IBM and Samsung are putting a lot of effort into creating compact biosensors that could be built into electronic devices just like the present-day nano- and microelectromechanical motion sensors — accelerometers and gyroscopes. It is hard to overestimate the impact that biosensors would have — suffice to say that our devices would acquire a new sense organ. And this is not merely a metaphor: Major corporations are working on technologies to enable AI, intelligent gadgets, and biointerfaces that would serve as mediators between the human brain and a computer. A combination of these technologies could give rise to real cybernetic organisms.